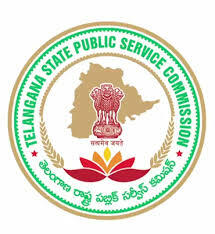 TSPSC Agriculture Extension Officer Previous Solved Question Papers, Agriculture Extension Officer (AEO) Old Question Papers PDF Download – Telangana Public Service Commission (TSPSC) has published AEO Recruitment Recently. Candidates who are passed Diploma in Agriculture Polytechnic or Degree in Bachelor of Science in Agri they can utilize this opportunity by applying online mode through the official site of TSPSC before the last date. The Selection process of TSPSC AEO is written exam mode, so candidates must and should check previous question papers of Agriculture Extension Officer, syllabus in Telugu, study material, PDF Books, exam pattern to get a high score in the written exam. Here we are trying to upload 5 years question papers of TSPSC AEO Solved Question Papers and Syllabus. Applicants also check other details related to TSPSC AEO Previous Question Papers, syllabus, exam pattern, Agriculture GK bits, Soil Science, Plant Breeding, Seed Technology Questions, Age Limit, Selection Process, Educational Eligibility of TSPSC AEO and more details are given below. Main topics of TSPSC AEO Paper-2: Agronomy, Crop production and improved management practise, Soil Science, Plant Breeding, Seed technology, Seed testing, Crop pests and their management, Plant diseases and their control, Horticulture and forestry, Agriculture Economics, Agriculture and Rural Development, Agricultural Energy Sources, Machinery and Land Surveying, water engineering and greenhouse technology.